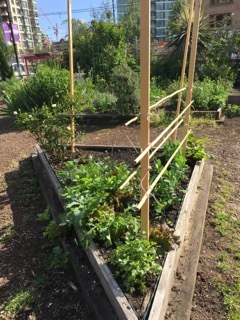 Vertical vegetable gardening is a great way to expand your garden, some veggies love to grow up and it can add interest to the garden design. 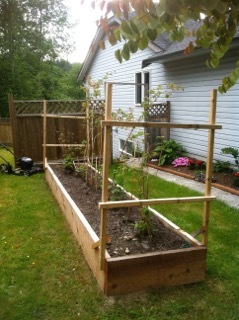 With limited garden space using the space above is a great way to expand your growing area. 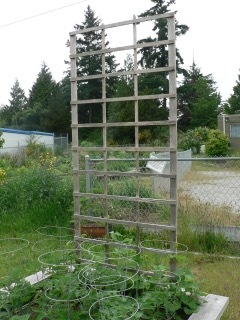 Some vegetables such as tomatoes and cucumbers grow best when trained to grow vertically. 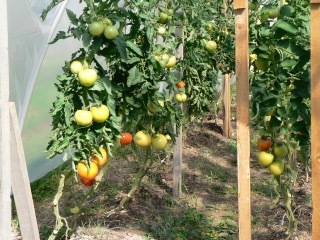 It is easier to water around the base of the plant (tomatoes do not like their leaves to be wet), vertical growing allows for more air circulation keeping the plants healthier, and it is easier to harvest the fruit. 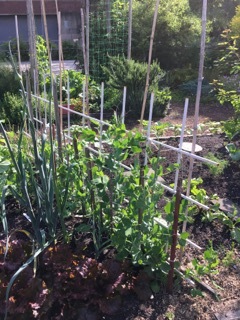 Using stakes is easy when growing in containers so this is another option especially if you live in an apartment or have no backyard to speak of. 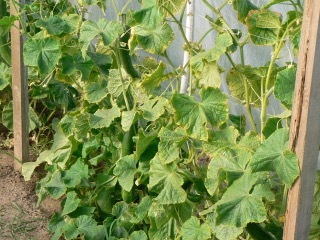 Some plants grow best and will give you a more abundant harvest if they are grown vertically. 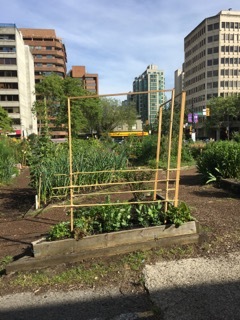 Even if you have lots of gardening space vertical gardening can add structure and interesting design to your garden. 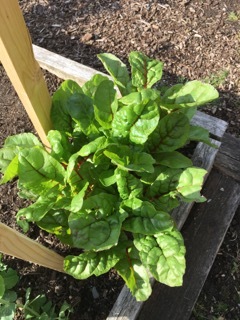 For more information on specific vegetables please go to my vegetable list. 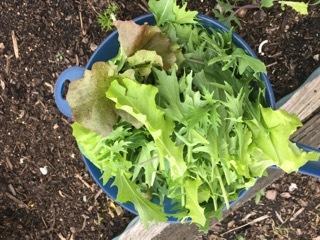 I have had 2 cuttings from my salad greens so far, the peas are starting to need staking, the chard and kale is looking wonderful and leaves are getting bigger. 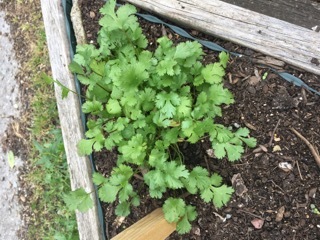 At the beginning of June I planted some English cucumbers, cilantro and chives.